My obsession with cornbread runs deep. I’ll try just about any variation, but as long as there’s cornmeal in something, it’s pretty much guaranteed I’m gonna love it. 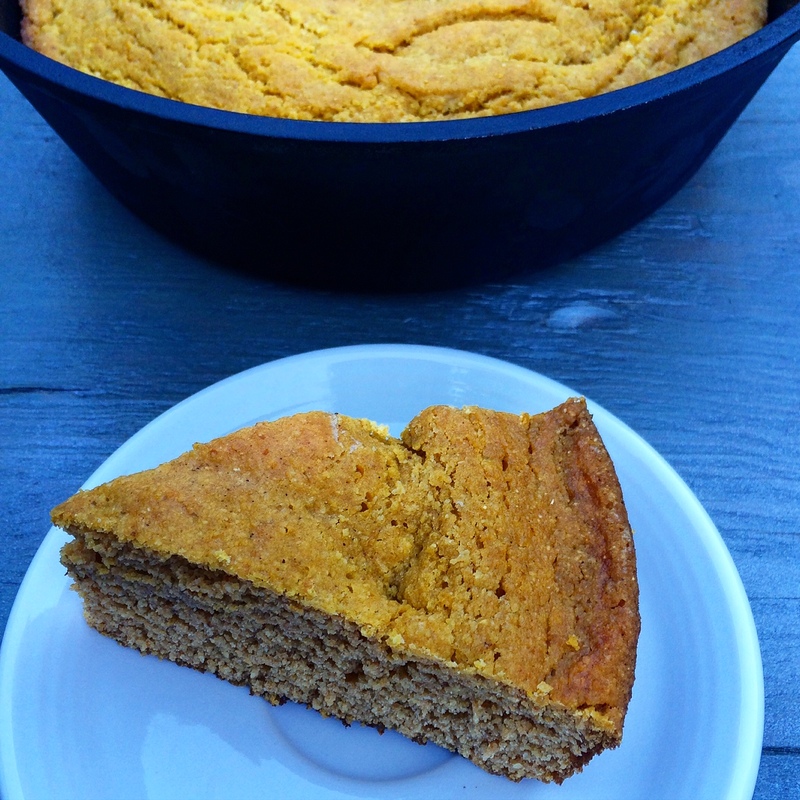 This pumpkin cornbread was super easy and totally festive for this time of year. 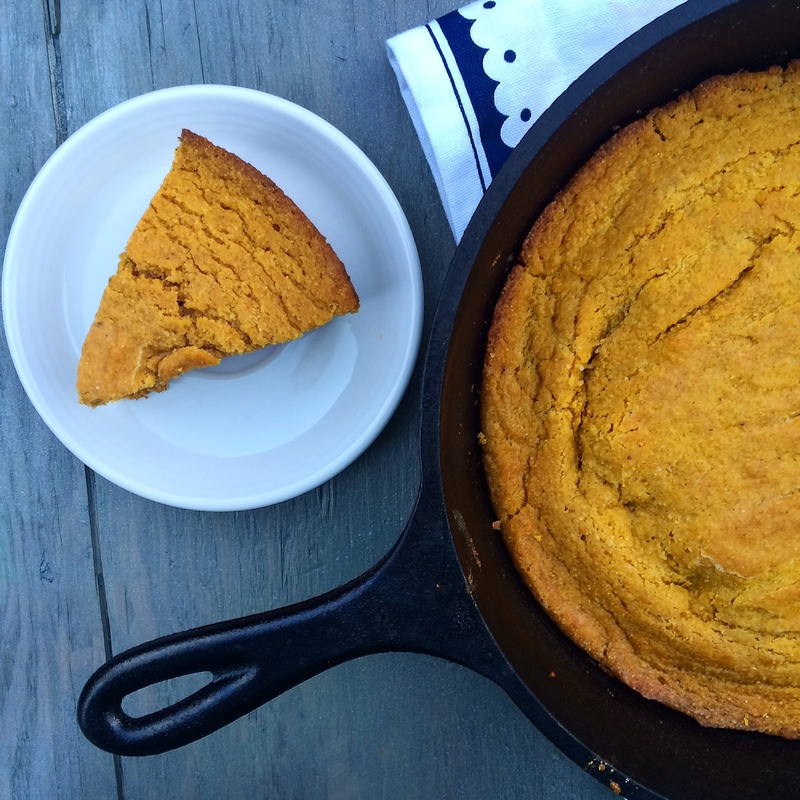 However, one of the great cornbread dilemmas of the 21st century is savory vs. sweet. Do I slather this cornbread with honey for a sweet and delicious treat? Um, yes – totally an option. 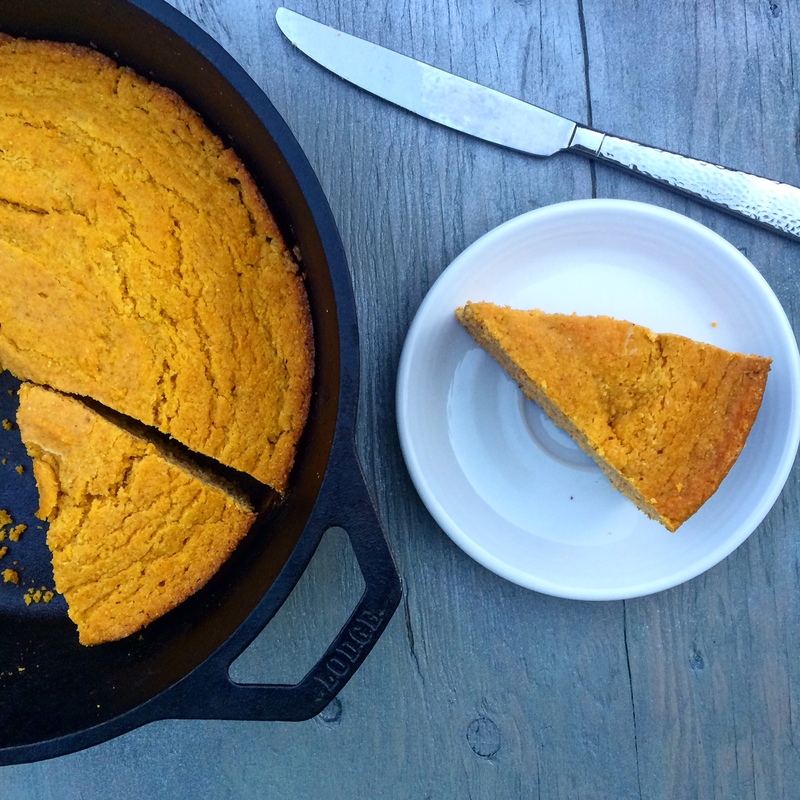 Or wait – should I dunk this cornbread into some meaty chili? Oh crap – this is definitely a good way to go too. It’s a battle I fight every time I make cornbread. You can really go all out and make some homemade whipped cinnamon maple butter like the original recipe suggests – I don’t think anyone would complain there. You just better be ready to eat more than one piece! In a medium sized bowl, whisk together the cornmeal, flour, baking powder, baking soda, cinnamon, nutmeg, and salt. Set aside. In a large bowl, whisk together the eggs, brown sugar, pumpkin puree, and buttermilk until well combined. Slowly stir in the dry ingredients. Place the butter in a skillet and place in the preheated oven for a minute, or until the butter melts. Take the skillet out of the oven and swirl the butter around to coat the skillet. Pour the batter in. Smooth the top with the back of a spoon or a rubber spatula. Bake until golden, about 30 minutes or until a toothpick comes out clean. Let cool 10 minutes before cutting the cornbread into triangles. Serve with butter, honey, or your favorite fall meal. With had this with chili and it was awesome!